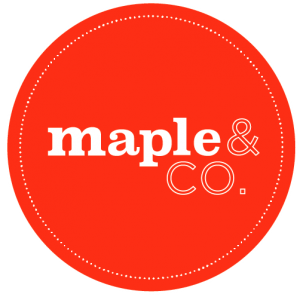 maple&FITZ offers premium healthy catering to your office, event or home. Whether you are looking for a delicious and nutritious sit-down meal for a meeting, a pop-up style event for a press launch or salads and gluten-free treats for a dinner party – we are here to help! Our bespoke catering service means we can design a delicious and nutritious menu to suit your event; whether it’s for 8 or 2,000 people! We arrange delivery to you if needed or you can meet us at our Fitzrovia kitchen. We require a minimum of 3 days notice for larger bespoke catering orders and same day for items off our seasonal menu. We look forward to hearing from you and please contact us below.